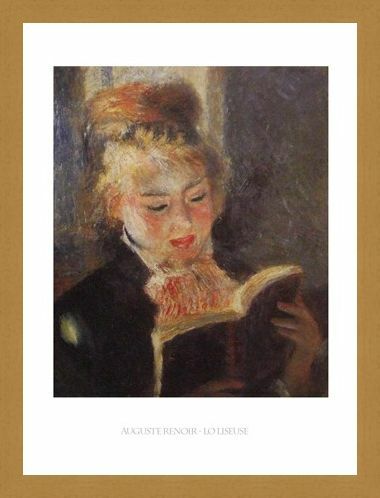 Art Print: This stunning piece of Impressionist art was, of course, painted by the master of this art period, Auguste Renoir. 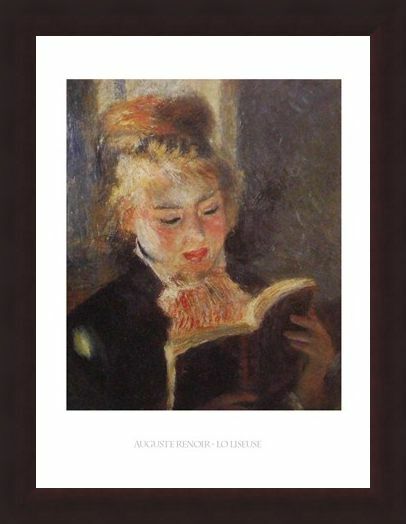 This high quality art print of the original 'Lo Liseuse' shows clearly, the brushstrokes Renoir made for each delicate section of the painting, and even the cracks in the oil are visible, where the material has aged over time. 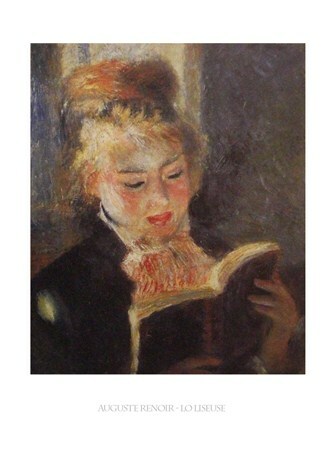 The subject - a beautiful young woman, has been captured perfectly in her little bubble of serenity as she flicks through the pages of her book. Her delicate features shine through in this beautiful picture, which would be ideal for any Renoir fan's wall. High quality, framed Reading, Auguste Renoir print with a bespoke frame by our custom framing service.